Let virgin olive oil deeply moisturise whilst pure essential oils support and boost you. Traditionally, you’ll feel more clarity and find confidence with rosemary, feel cheery with tangerine and spearmint, and gain inner strength with cedarwood. Meanwhile lavender and roman chamomile soothes and calms, and rose stirs feelings of love and forgiveness. Your mind will truly feel clearer and calmer after using this organic balm, let the tension be soothed away. 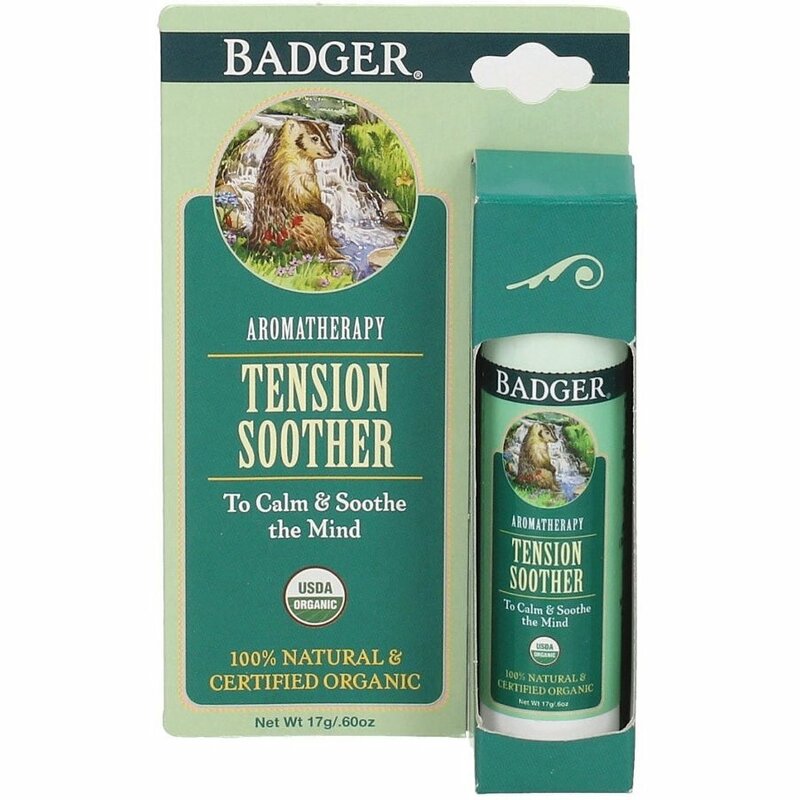 The Badger Balm Tension Soother Balm - 17g product ethics are indicated below. To learn more about these product ethics and to see related products, follow the links below. 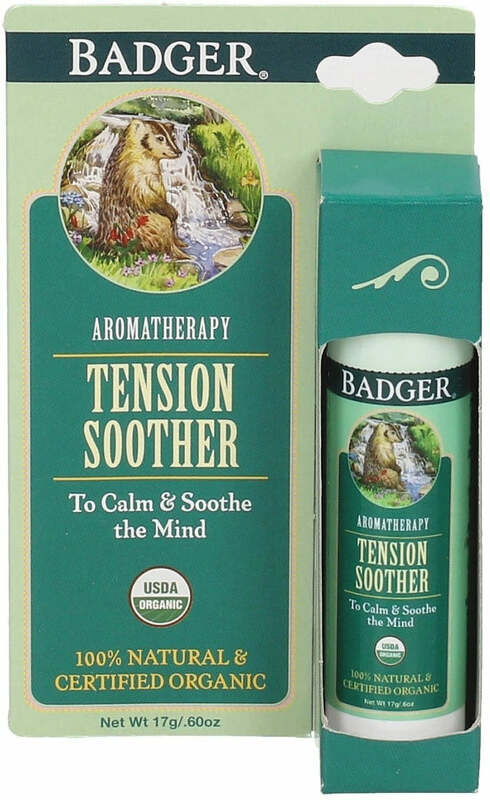 There are currently no questions to display about Badger Balm Tension Soother Balm - 17g. Badger uses pure, natural, organic ingredients, blends them up to make them creamy, dreamy and ready to soothe, heal, and pamper all of you Badger Balm beauties. Badgers’ products are never tested on animals and contain no chemicals, preservatives, synthetics GMO’s or any other nasty stuff – leaving room only for the finest and best ingredients. The products themselves are rich in relaxing and calming vitamins, minerals, enzymes, and anti-oxidants ensuring that you can sense and feel the goodness going to work. As well as this, Badger takes pride in its stewardship of the environment and reuses, recycles and composts as much as they can in order to reduce waste and their impact on the environment.